Due to the incredible support from the Gee Gees Women’s volleyball team, our Annual Alumni Game will be held at the University of Ottawa’s Montpetit Hall on Friday December 22, 2017 from 7-9PM. 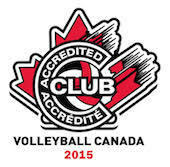 Alumni - please contact Frank St-Denis at frank@maverickvolleyball.ca to register and ensure your spot on the roster. Current athletes - it’s an incredible opportunity to see current USport, NCAA, OCAA athletes, professionals and National Team level athletes who share our #MavsProud #FiertéMavs. Athletes, parents & guests are all welcomed to attend at no cost!